3. 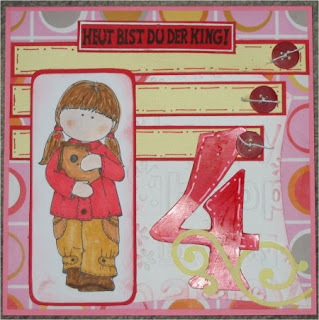 Cute Card Thursday Hier lautet das Thema diese Woche *Letters and Numbers*./Theme of the week is *Letters and Numbers*. Such a cute card - love the colours! Beautiful card! Many thanks for joining in the CCT challenge! Have a great weekend! thank you for joining us this week at "Stampavie and More"
An adorable image and beautiful colors! Bravo, cette carte est très jolie.